zCover iSA TOUGH Cases for new iPod nano 2nd Gen.
zCover Inc, the leading manufacturer of fashionable silicone protective cases, has announced today the release of their iSA TOUGH Case for new iPod nano (second generation). 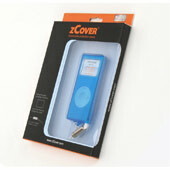 zCover iSA micro2 TOUGH for new iPod nano now shipping. "We released our iSA micro2 original line on Sept 16th, now we released a full line of our TOUGH cases 6 days later. Its enhanced all around protection with an reinforced silicone layer as crash cushion adds beauty to new iPod Nano as well as protect it if dropped. The hard crystal screen protector protects your nano screen from scratch." said Sean Sa, vice president of zCover Inc. "zCover products outshine other similar products by having always been the first to hit the market. We are extremely honoured to have won championship in speed of development for iSA cases for the new iPod nano, 5G iPod and nano released by Apple. A full line of TOUGH cases shipped only 10 days after the new iPod nano released. This TOUGH line offers more choices to the customers to dress their nano. " 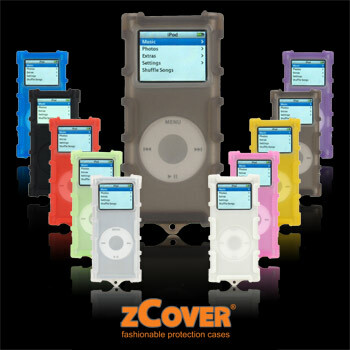 "In addition to championship in speed of product development, zCover iSA silicone cases have been nominated by Macworld Awards 2006 as editor's choice in the iPod Accessory Category. As the Only iPOD Protection Case that has so far won such a nomination, our iSA series will be the best solution for the iPod customers." Each zCover "iSA micro2 TOUGH" retail pack contains one protective case, one hard crystal clear screen protector with soft rubber ring pad and a removable belt clip. In its first release of the iSA micro2 TOUGH, zCover is offering a selection of 10 colors to the online consumers. 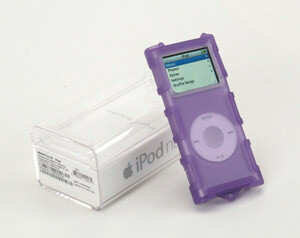 zCover iSA micro2 TOUGH offers one size to fit new iPod nano 2GB, 4GB and 8GB. In this first release of iSA micro2 TOUGH, zCover offers you a choice of 10 bright colors: Blue, Pink, Green, Purple, Red, Yellow, Ice Clear, Grey, Black and White-Glow-in-Dark. Each zCover iSA micro2 TOUGH (retail packaging or on-line-order packaging) for new iPod nano contains one iSA Micro2 TOUGH silicone case, one hard crystal clear screen protector with soft rubber ring pad and one removable belt clip.